For his latest album Insanity vs. 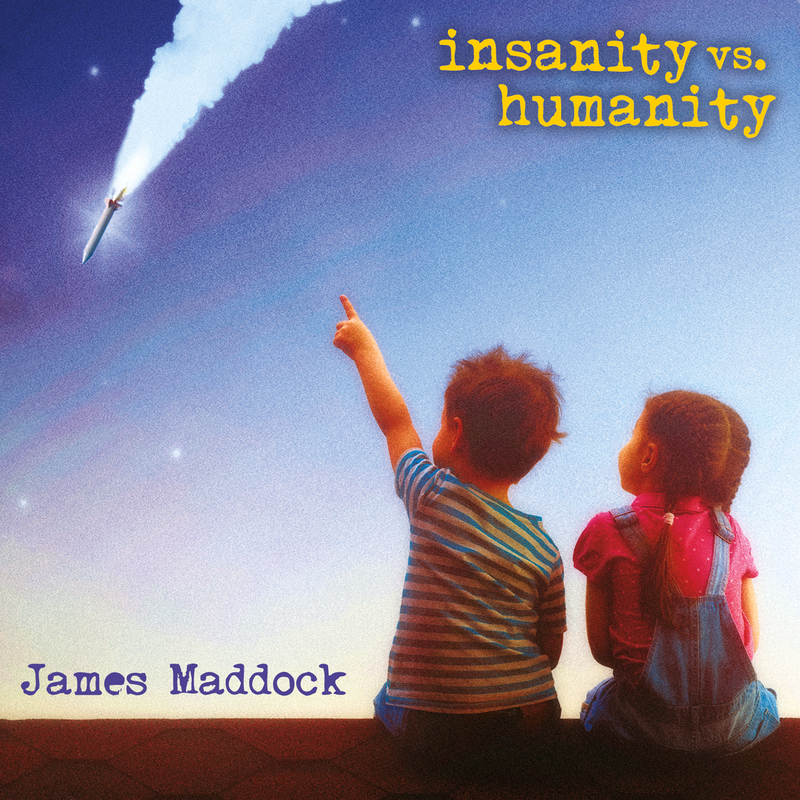 Humanity (Songs of Avenue C Records), returns Maddock to his politically-charged roots, bringing him full circle after a three-decade career. Recorded in the wake of the American election that sent Donald Trump to the White House, the new album finds Maddock — a New York City resident since the early 2000s — rallying against capitalism, dictators, and the suppression of equal rights. Songs like "Fucked Up World" make no attempt to hide their anger, while the music itself underscores Maddock's lyrics with plenty of guitar firepower and piano punch. Gluing the mix together is his voice: a stunning instrument that's grown warm and weathered since his UK days fronting the band Wood, without losing its poignancy. Backed by his longtime backup band of New York City musicians, Aaron Comess (Spin Doctors), Drew Mortali, Ben Stivers, Jason Darling, Garland Jeffreys, David Immergluck (Counting Crows) and Joy Askew, Maddock recorded the bulk of Insanity vs Humanity's 11 songs into two quick days. The goal was simple: get everyone into the same room, teach them the songs, and press record. "I don't think you can change people's opinions with a song," he admits. "A Trump supporter isn't going to turn into a socialist, just because they listened to something I wrote. But that can't stop me from talking about the world we all live in. I had to write about these insane times, and I wanted to do so in a way that wasn't one-dimensional or phony."